M. Night Shyamalan at a screening of Split. Within the span of just a few films, M. Night Shyamalan went from being thought of as one of the most innovative and promising directors in Hollywood to being derided for movies like Lady in the Water and Avatar: The Last Airbender, which failed to capture audience’s imaginations. 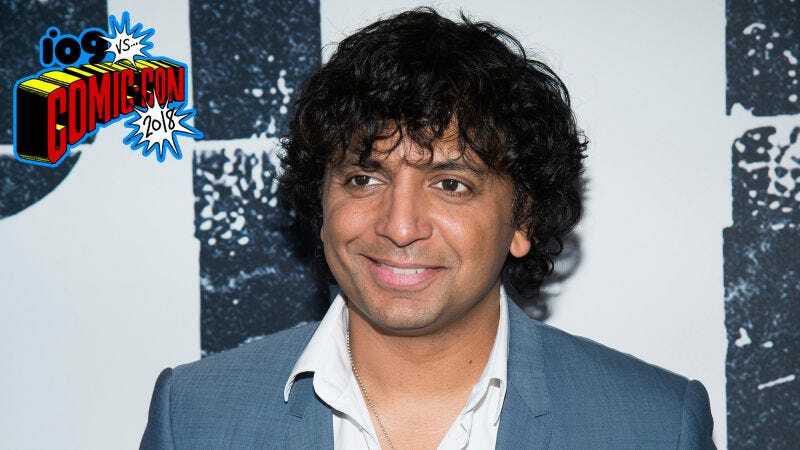 With his latest films Split and Glass, however, Shyamalan’s star has been on the rise again as he’s stealthily revealed himself to be the architect of one of the more fascinating superhero franchises out there. When we recently caught up with Shyamalan at this year’s San Diego Comic-Con, the director was candid about how his experiences working in other narrative spaces (to varying degrees of success) were instrumental in his evolution as a filmmaker. While Glass may be debuting into a movie landscape that’s drastically more saturated with comic book movies than when Unbreakable first hit theaters almost 20 years ago, Shyamalan said that he’s confident that the philosophical ideas at the heart of the film are going to set it apart from other films in ways that are going to really stick with audiences. io9: Both Unbreakable and Split were really origin stories about the things hero/villain pairs can bring out in one another. How is that kind of narrative dynamic going to play out in Glass, given that this time around, everyone from this world is really being brought together for the first time? 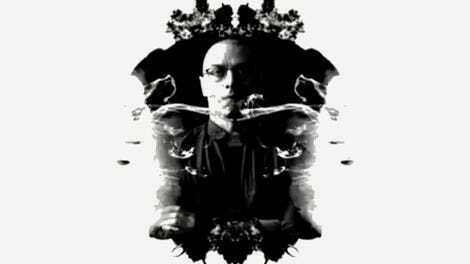 M. Night Shyamalan: I think there’s definitely a philosophical conflict at the center of the movie which is, you know, are they are they deluded to think these things? Or is that belief in oneself ultimately something that truly makes them something more? That kind of belief is a tenuous thing for people. Even if we can do extraordinary things, is it something that we’re interpreting when we do that or are some people really special or not? The movie’s really about doubt versus belief and so every scene has that weight to it and that struggle is there. io9: Unbreakable was a very different kind of superhero movie when it was first released almost 20 years ago. How is Glass going to be a different kind of superhero movie, especially considering what a big part of the culture they are? Shyamalan: It’s a contained, character-driven thriller that happens to be about this subject. There’s very little CGI and it’s not about the spectacle. It’s really about the characters. One of my favorite films is One Flew Over the Cuckoo’s Nest and there’s a lot of that in this in this movie. io9: There’s no way to really sugarcoat a question like this, but: What’s it like to go from having some of your cinematic passion projects derided by the public, to suddenly becoming the architect of one of the most unique and hyped cinematic franchises out there? Shyamalan: I’ve been super lucky. I’ve made 12 movies so far and the first two, no one really saw. The Sixth Sense was my third and it’s been an incredible ride. Contained thrillers are my sweet spot where I feel the best, where, for lack of a better metaphor, I can run my best offense. The best version of me can come out where the films are small and the stakes are low and I can try and iterate and take chances. So it’s it’s it’s been good with these movies Split and now Glass it’s been beautiful to really get back to what suits me and going up from there. Glass is due out January 18, 2019.